The Bill Memorial Library is a full-service public library located in the historic Groton Bank neighborhood. Our collection holds over 21,000 items, and we offer public computers, technology assistance and varied programming for Adults, Children, Teens and Families. The library is housed in its original 1890 Richardsonian Romanesque building and includes a museum collection of fine art and natural history artifacts that are on view on a rotating basis. The Groton Public Library brings people, information and ideas together to enrich lives and strengthen our community. Area residents have access to materials in a wide variety of formats, research assistance, programs and partnerships providing instructive and cultural experiences. Ledyard Public Libraries support the freedom to read, learn, and discover in a welcoming environment. We provide friendly, knowledgeable service, free access to diverse ideas, resources, and experiences, and strive to enhance quality of life and encourage lifelong learning. The Lyme Public Library is a community center for lifelong education, cultural and recreational activities, and evolving information needs. The library offers current technology, print and electronic materials, programs and services for all ages. MNL has served the greater Mystic community for over 120 years. MNL offers over 45,000 books, DVDs and CDs for check-out to all Connecticut residents. Computers, printers, scanners and fax-machine are available. The library houses a collection of artwork, and monthly exhibits of local artists. 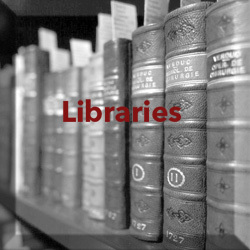 Otis Library provides free and open access to information, ideas, and services that anticipate our community’s personal, educational, and professional needs. The library enriches our region by maintaining a safe and welcoming environment and by offering resources that promote lifelong learning. The Stonington Free Library's mission is — to enrich lives and build community by bringing information, ideas and people together.